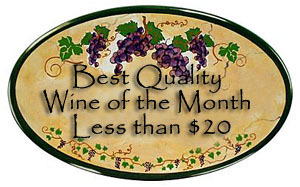 Synopsis, Our Opinion: It was a noteworthy “buy again” Nebbiolo that’s WAY UNDER VALUED!!! 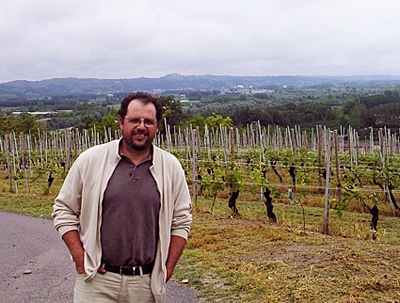 Producer/Winery: Silvio Giamello; Barbaresco, Italy. Geographic Appellation,, Region, Country: Langhe; Piedmont, Italy. 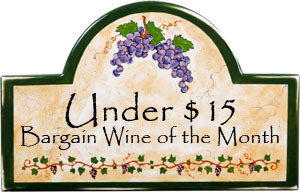 Paired With: Venison roulade with Marsala sauce, crispy smashed potatoes and corn on the cob. Opened 90-minutes before drinking. Clear, dark purple-garnet color with a lighter purple rim. Strong aromas of cherry, raspberry, old leather, conifer saw dust and fresh plowed moist soil. Powerful yet smooth entry, dry, spicy mouthfeel, medium body and a 100-grit texture. Ripe, juicy cherry, raspberry, anise and peppery spice flavors. Plentiful bright acidity, grippy mouth puckering tannins and a long finish where the flavors all come together and the tannins explode on the palate. 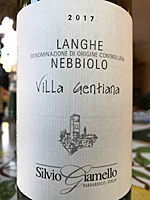 WOW, WOW, WOW…FANTASTIC Nebbiolo. Nothing overpowering in this wine, it was VERY well balanced and a STELLAR pairing with the strong flavors in the venison roulade, but it’s also significant that it was so delicious and “easy drinking” without food after the dinner. In the past we’ve paired this strong tasting venison roulade with Primitivo or Zinfandel, but we think it’s OUTSTANDING with Nebbiolo and will pair it with a Barolo next time. This was very scrumptious wine and each sip was an enticement to take another. It was a noteworthy “buy again” Nebbiolo that’s WAY UNDER VALUED!! !